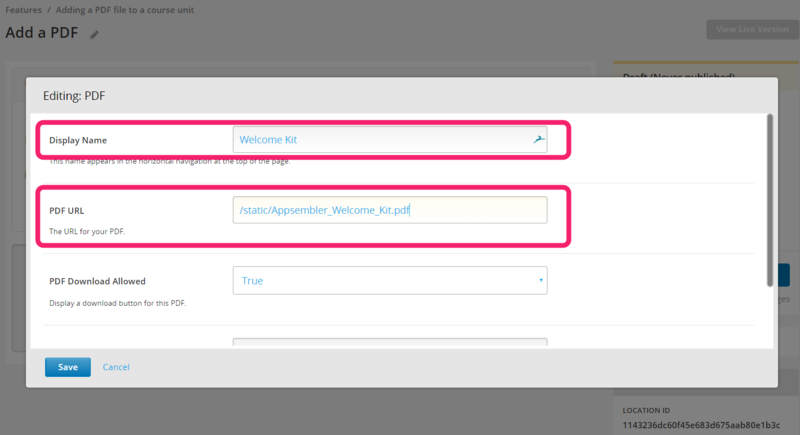 Adding a PDF file to an Open edX course unit can be very useful when you need share more information than you wish to include in the unit. Here's how to do it. 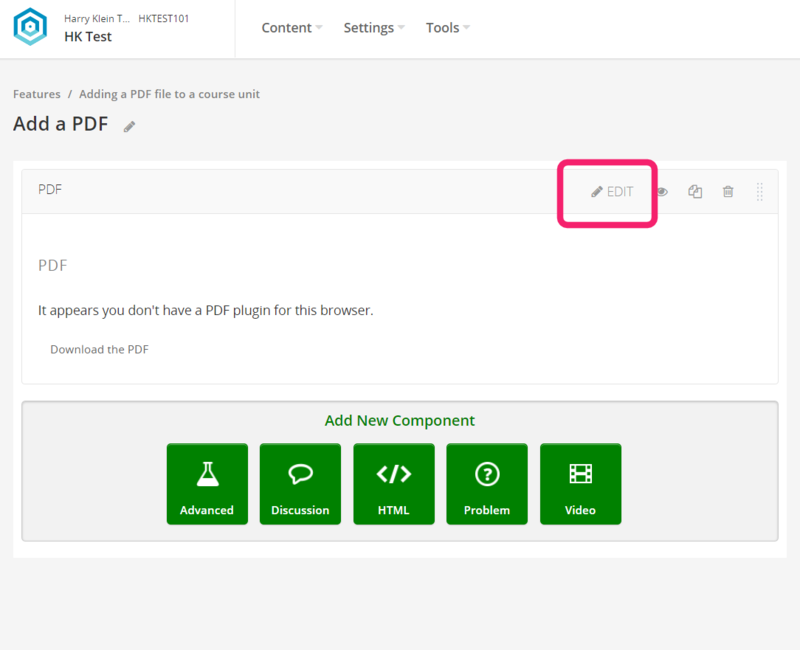 As always, make sure the PDF XBlock is enabled for your course. Here's an article on Enabling XBlocks in Open edX. The Advanced Modules code for the PDF XBlock is - wait for it - "pdf". 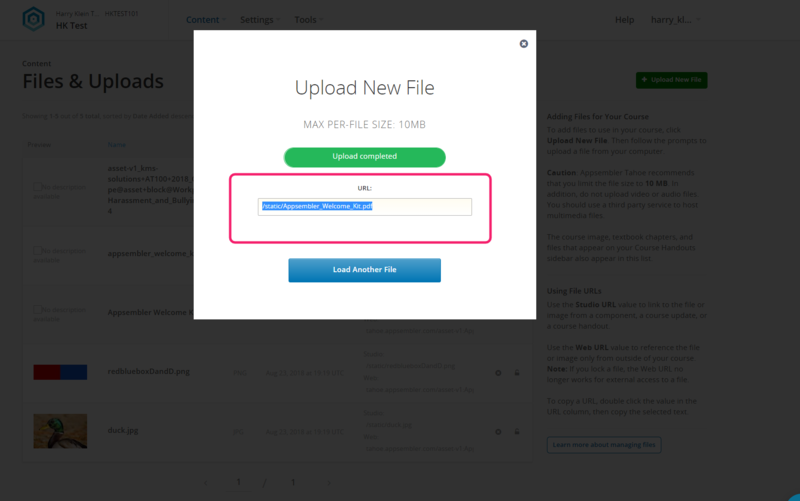 Next, we recommend that you upload your PDF to Files & Uploads in Studio. 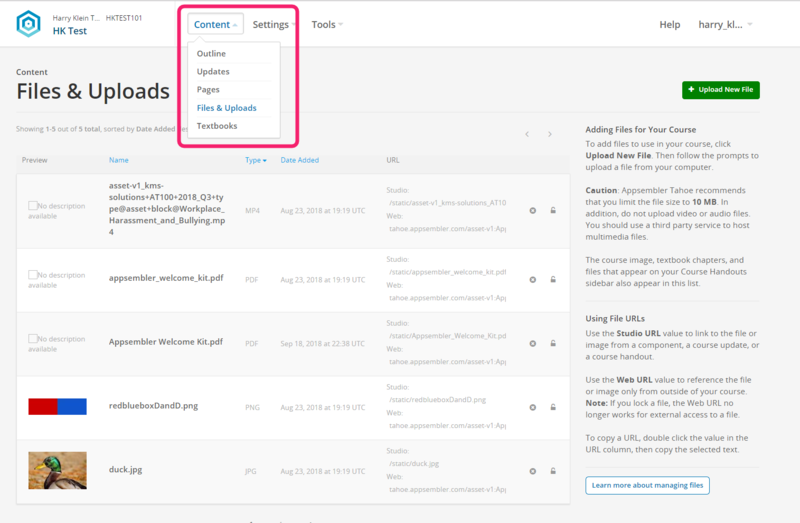 See our article on Adding files to your Open edX course for more information on using this page. Copy the Studio URL for the PDF to your clipboard. 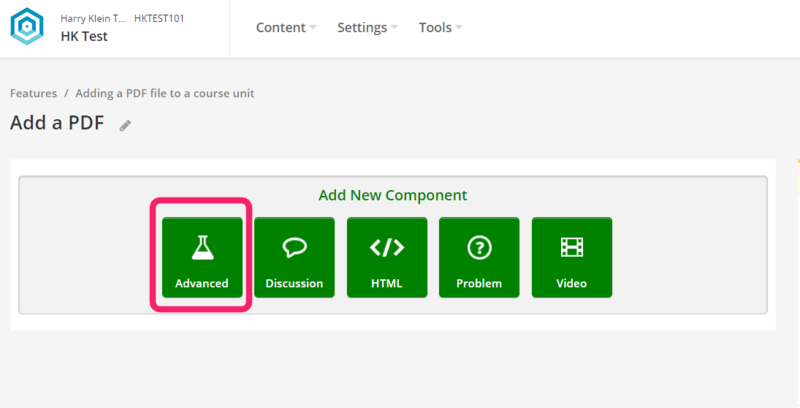 Navigate to where you would like to add the PDF in your course and create a PDF component by clicking the green Advanced button and then selecting PDF. 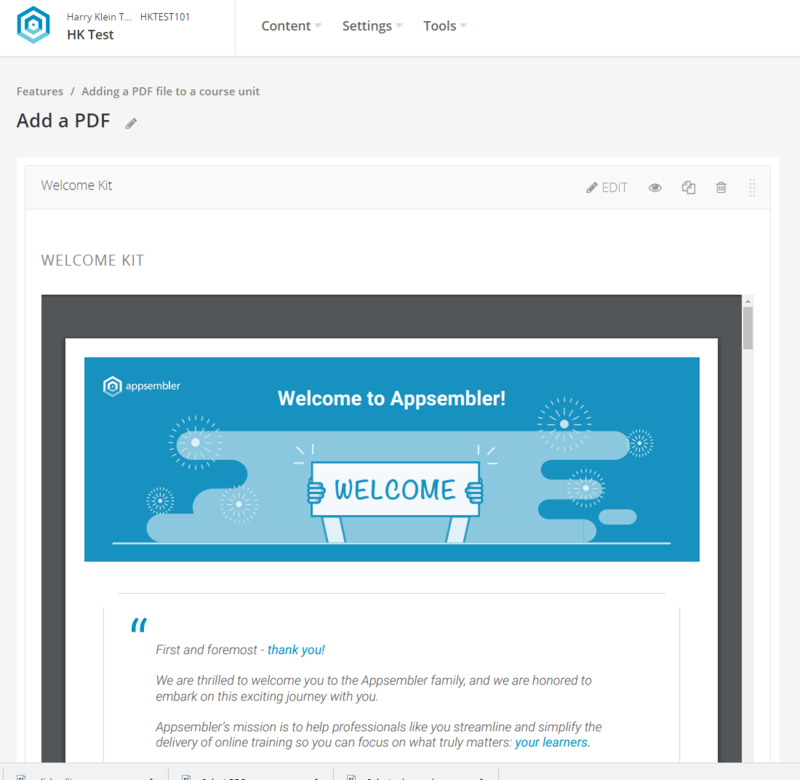 We would always recommend allowing learners to download the PDF, as this is helpful for users of assistive technologies, and many of your learners will appreciate being able to use their own PDF reading software!